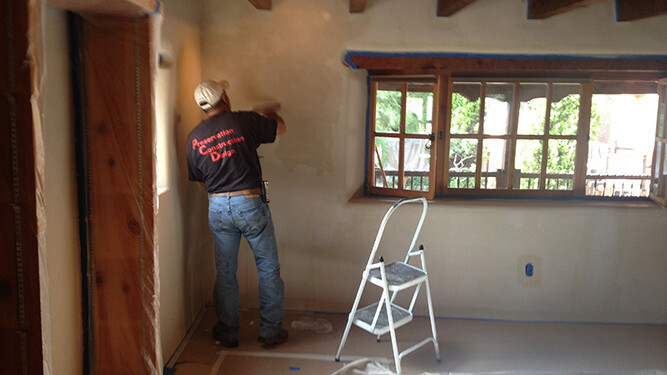 The Show House Santa Fe Transformation Continues. 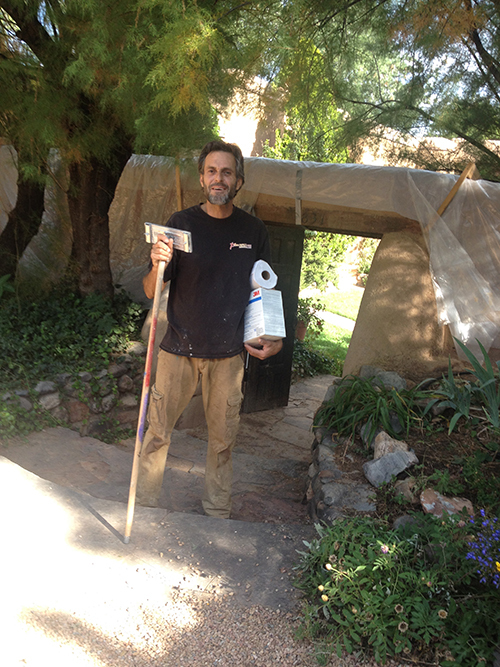 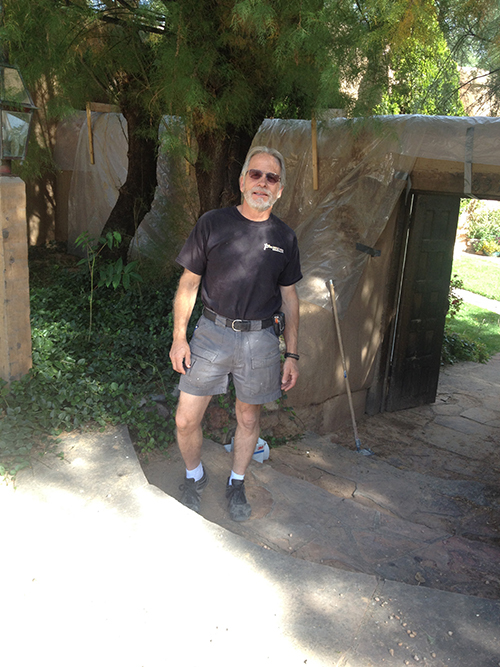 With 3 1/2 weeks until the opening of the Design Show House Santa Fe, the journey continues. 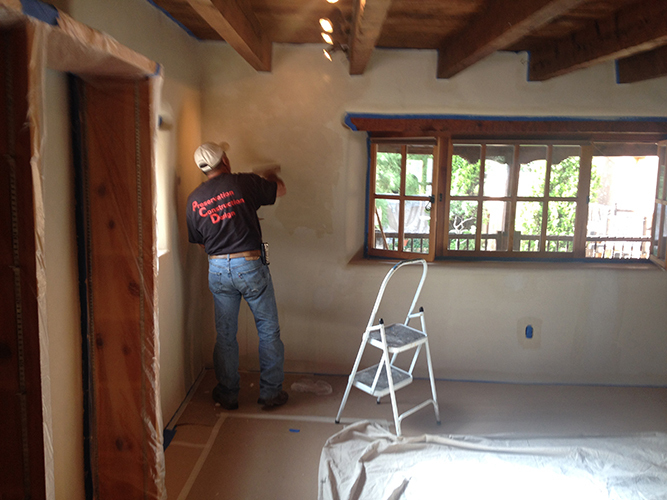 With the floors in our Library space at the Frank Applegate Estate refurbished, Team abuwallous was able to get in to replaster all the walls in our space — BEAUTIFUL!! 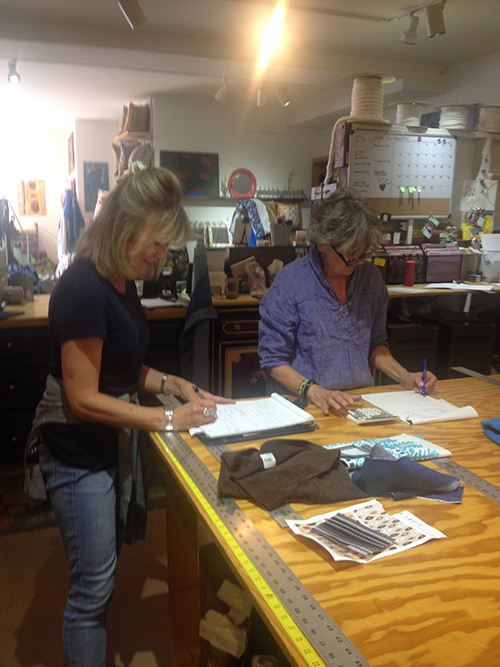 Working with Nancy at Clusiau Designs to create some gorgeous accent pillows for the our Library space.